I received a fabulous package from gozer!! Thank you so much! I hope you like your package as much as like mine! omgosh! 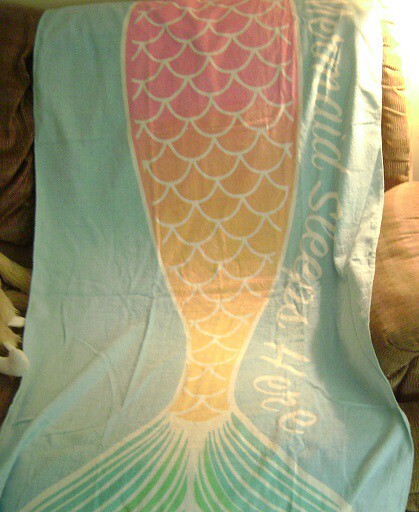 each one of those mermaids is so beautiful but my fave is the one holding the starfish! 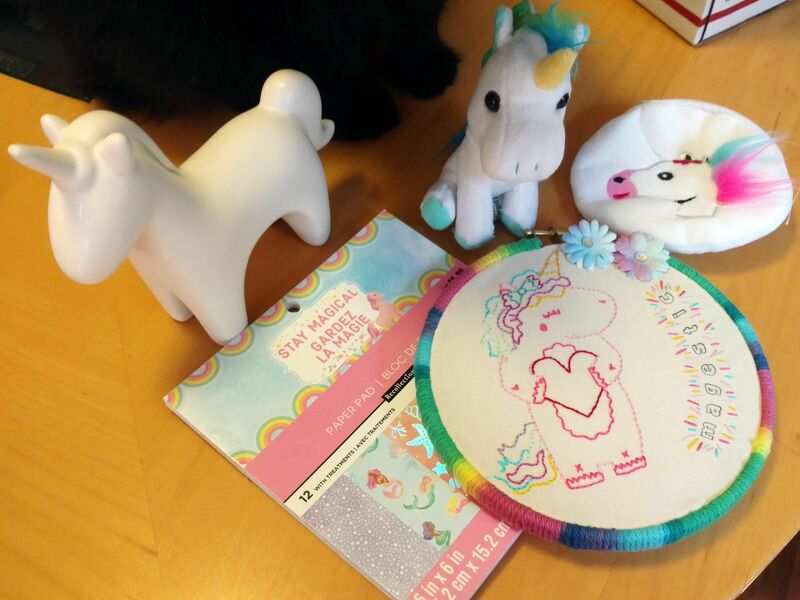 I think my favourite item is the fantasy sea patch, but I can think of all sorts of things to do with the unicorn cookie cutter. 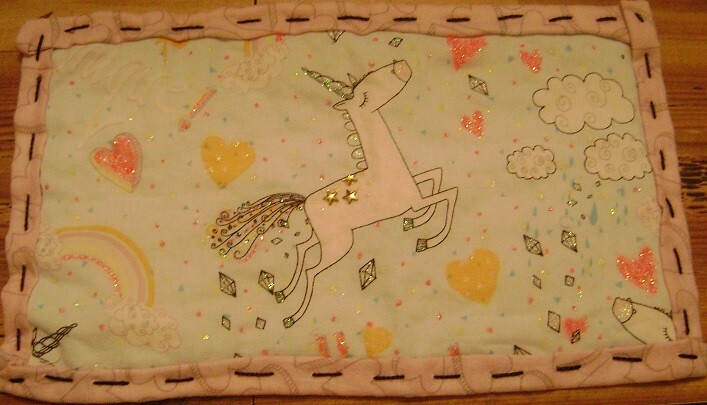 And the unicorn patches have little details embroided on their bums! Thanks so much for everything curiousfae! 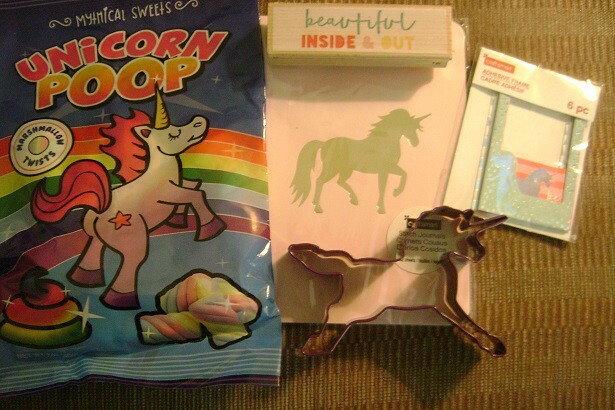 I received the most amazing swap package from Lindyv321 over the weekend. She completely outdid herself. Everything she sent was so amazing. I loved everything!!! 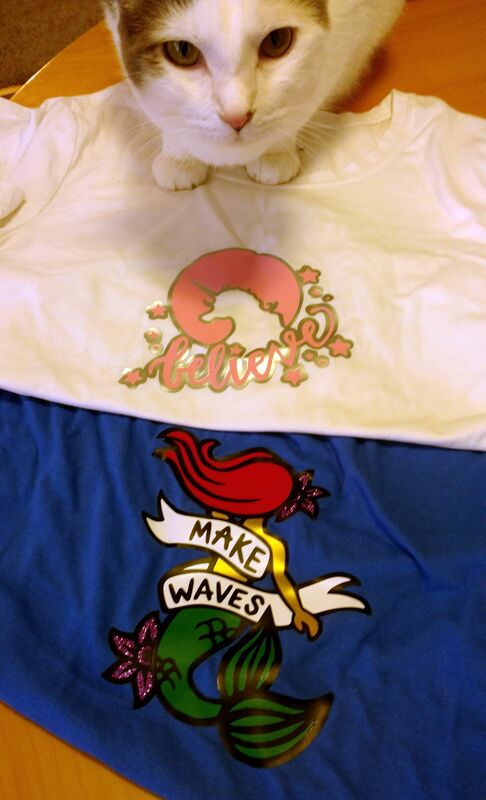 First up are two awesome shirts she made. I think she used vinyl on them. They are so cool. My cat Egon wouldn't get off them so you get a little shot of him too. I put everything else in little sets since she sent SO MUCH stuff. I definitely got spoiled on this swap. In group one we have an amazing ornament that will end up being hung up year round. 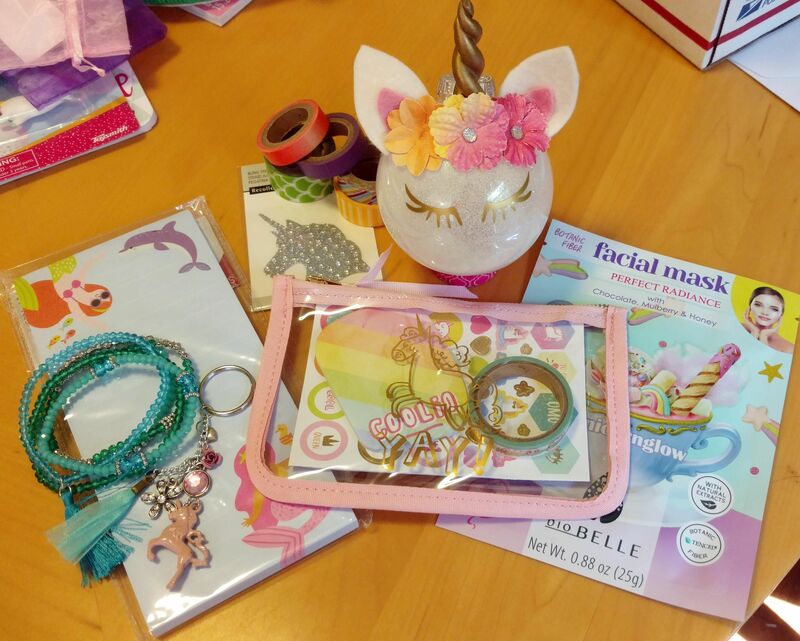 Some awesome mermaid bracelets, a unicorn pack of stickers and lots of washi tape for my planner, magnetic mermaid notes, unicorn face mask, and Unicorn keychain (next to the bracelets). 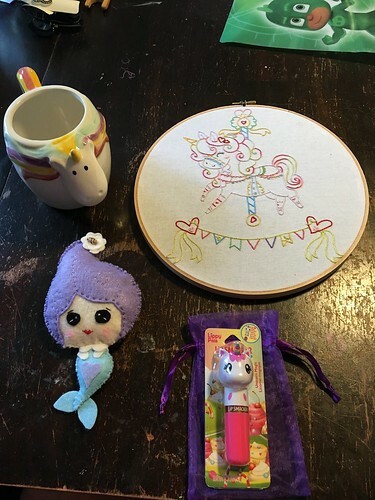 Group two has an amazing notebook that Lindy added a beautiful mermaid too, unicorn gum, a grow your own unicorn, a fun unicorn cross stitch (I can't wait to start this! 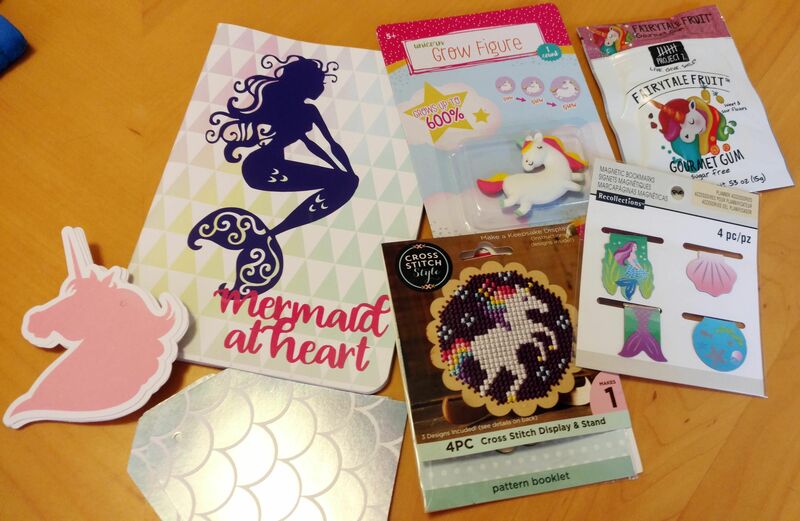 ), awesome mermaid magnetic bookmarks, and unicorn and mermaid gift tags. 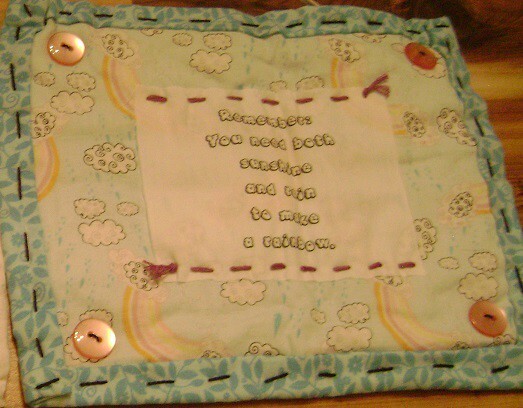 And the final group has my favorite item, That AMAZING hoop! It is so freakin' adorable!!! I love it. It's hanging on my kitchen wall now! 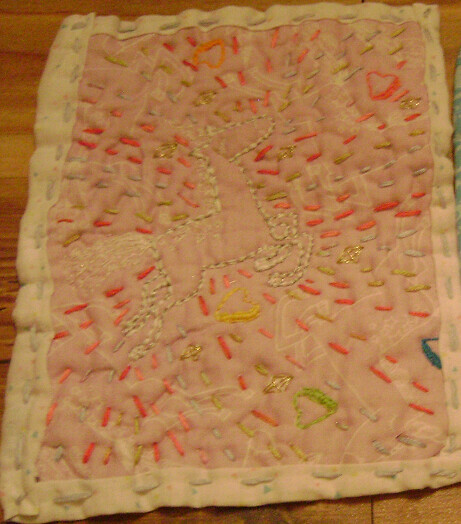 Also in the group is this cute unicorn stuffy, unicorn coin purse, and a ceramic white unicorn. I love the ceramic unicorn too. I have to find a cool place for him in my house. Oh, and some amazing papers. Yes, those are kitty cat feet right behind everything. I had cats swarming me while I took photos. LOL! Thank you so much Lindyv321. You sent a completely amazing swap package!! I loved everything!!!! 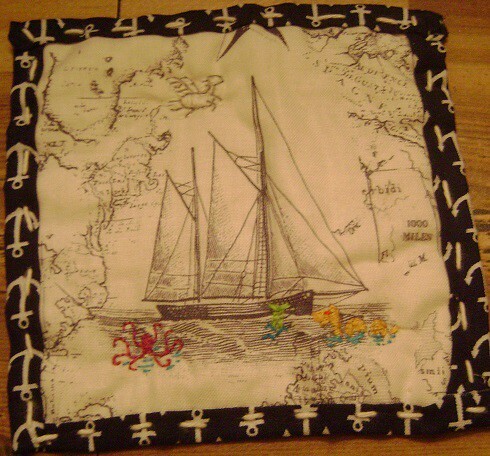 Super great swaps! I received mine Monday, I will post probably Tuesday. Any thing can be fixed with tape and love. I had our head organizer: rockingbearranch. Awesome! I was eyeing, liked and pinned several of her pins in altered art on Pinterest. Totally, excited by what I got! I love the altered art and the gnome is on my desk shoved in an aloe plant at work. Thank you! All is wonderful!! Pictures to flow. My phone doesn’t like the uploads of pictures. Yeah! So glad you like everything! I had too much fun stitching that up for you and that lip balm-I may have to get one for myself. LOL!